Moving and adding assets between walls allow users to keep moving a process forward as key research, insights and ideas are discovered. Moving, Adding and Copying assets can be used as the basis for subsequent phases of a project. 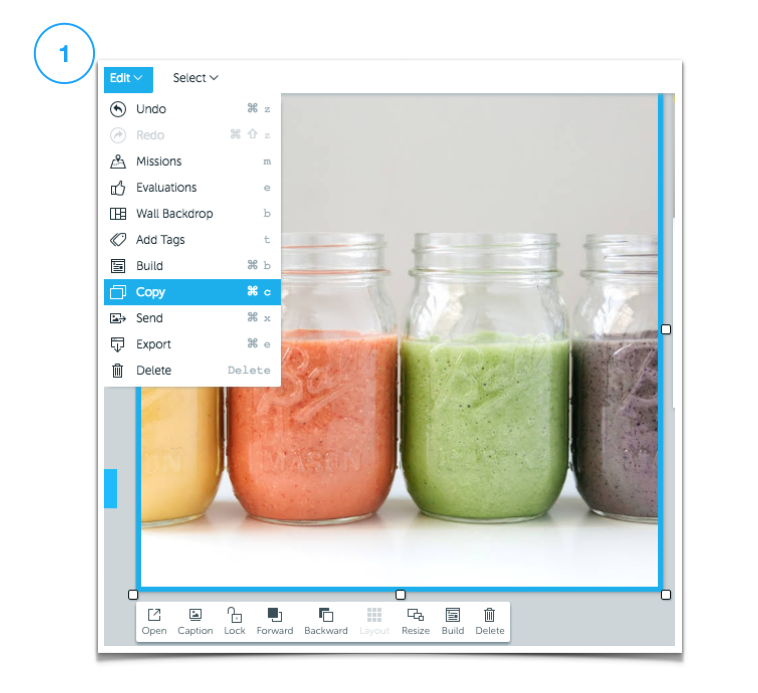 There are two ways to add content within the same room; Drag and Drop or use the "Send" tool. Drag and Drop will allow you to add an asset to another wall (a linked copy) or move the asset which adds the asset to another wall and removes it from the current wall. Go to the Wall and select one or multiple assets (holding shift down and clicking each item). Selected items will have a blue box outline. Click on one of the selected items, hold down your mouse and drag to the left to the correct wall. The wall name will highlight in grey and show "Add # Items" to create a linked copy to a new wall. 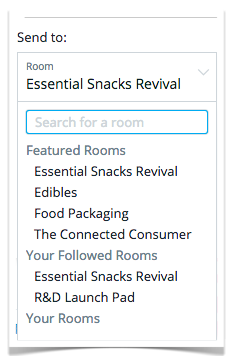 Tip: A linked copy is set within a room by default. If you want to make a copy of an asset, see Copy instructions below. Quickly copy any wall asset by selecting the item and then click "Copy". You will be given two options "Add as linked copy" or "Save as new copy". This will show up on the wall you are currently on and will have "copy" at the beginning of the title. 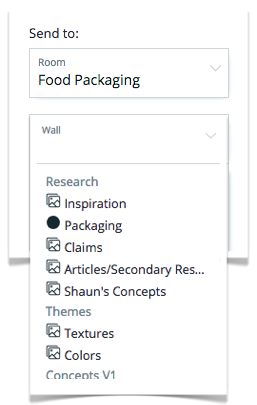 Then select and drag and drop to the appropriate wall and view it to edit the title, description and tags appropriately. 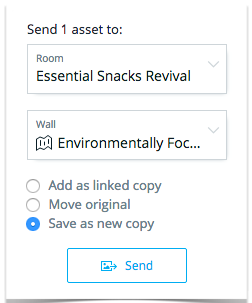 Tip: When creating a linked copy to other walls in the same room, a linked copy means that the asset will be automatically update when any changes are made to the original asset. EX: If you edit the description after the linked copy was created, the description on this asset on each wall will be updated. Use Asset Edit Toolbar at the top to select "Send" then choose the wall you want to copy the content to. 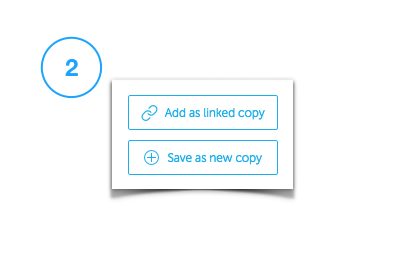 Send will give you the option to "Add as Linked Copy", "Move original" or "Save as a new copy". Select the new Wall from the drop down. Click "Send" when you are ready to copy the content to the new wall. Moving items will remove them from the original wall and place them on the new wall. If you prefer to "move" the items, hold down the mouse, drag to the left to the correct wall. The wall name will highlight in grey and when it shows "Add # Items" hold down any of the modifier keys (alt, control, or command on Mac and alt or control on Windows) and it will switch to "Move # Items". Copying to a new room is just as easy. 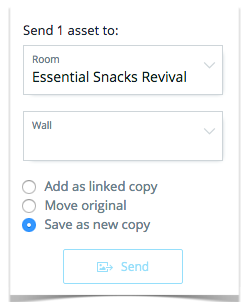 In order to copy content to another room you must use the "send" tool. 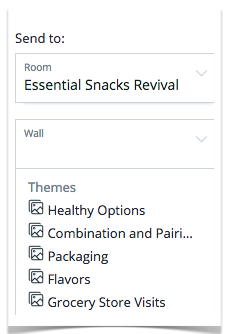 Go to the Wall and select one or multiple items (holding shift down and clicking each item). Selected items will have a blue box outline. 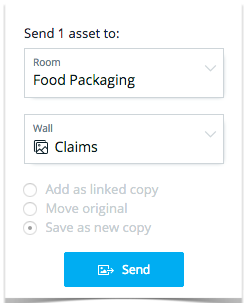 Use Asset Edit Toolbar at the top to select "Send" then choose the wall you want to copy the content to. By default "Save as new copy" is selected in order for the room to maintain the original assets where they were initially placed and not change what other participants can review on that wall. Select the new Room first and then the Wall options for the new Room will be available to choose from. Click "Send" when you are ready to "Save as new copy" to the new Room and new Wall. Tip: Assets sent to outside the current room will always be created as a new version that is not linked to the original. 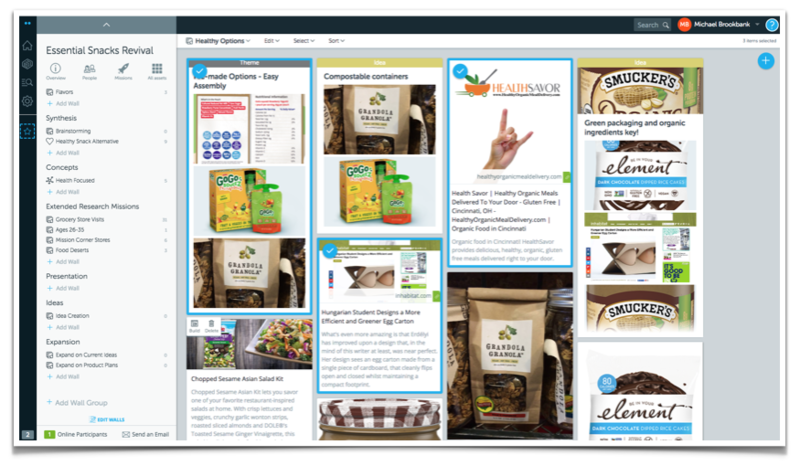 Now that you have copied content to a new wall use the different Wall Views to review and use the asset for your next steps.